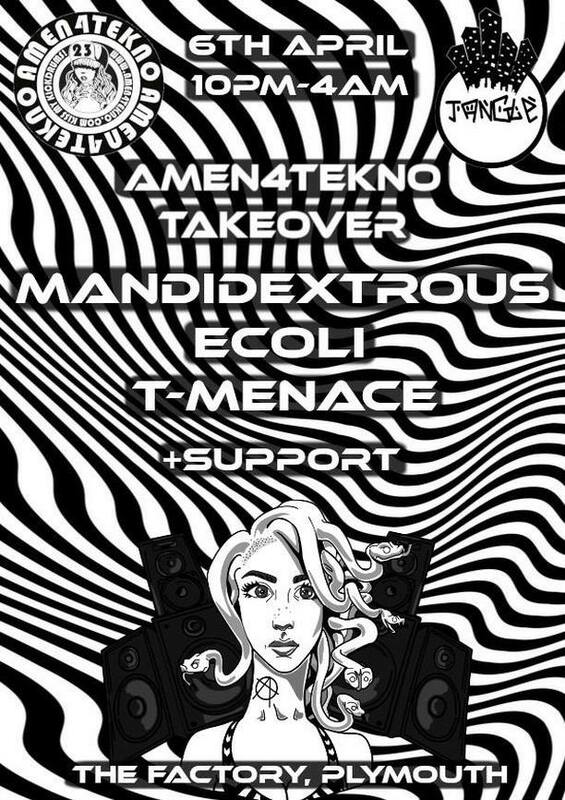 After a near sell out with out with Mandidextrous We thought we would bring more of the Amen4tekno team to Plymouth for round 2! He is an educated promoter and a leading man for the amazing Balter Festival based in Wales. Widely known for playing and producing crazy Gypsycore and Breakcore he is the number one go to see DJ for a crazy outlandish Balkan swing infused set.